Last week the Hillsborough trial involving ex-police officer David Duckenfield ended without reaching a conclusion; several papers reported that there was a ‘hung jury’ – so, what does that really mean? In an ideal world, a jury will reach a clear conclusion by either convicting or acquitting the defendant. In a case with 12 jurors at least 10 must agree on the verdict, so if the numbers fall short, for example, 8 wanting to acquit, 4 wanting to convict, that is not an acceptable verdict. If the jury indicates that they will not be able to reach a verdict in accordance with the law, the jury will need to be discharged. In legal terms, this is often referred to as a ‘hung jury’. The prosecution can then apply to have the defendant tried again, and this is the outcome in most cases. The decision is left the trial Judge who will consider whether it is in the interests of justice for a retrial to take place. Typically, the court considers questions which will include (but are not limited to) whether the alleged offence is sufficiently serious to justify a retrial; whether, if re-convicted, the appellant would be likely to serve a significant period or further period in custody; the appellant’s age and health; and the wishes of the victim of the alleged offence. If prosecutorial misconduct is alleged (an illegal act made by the prosecutor to attempt to sway a jury to wrongly convict or impose a harsher sentence on a a defendant) then other factors will come into play, similar to if there was an abuse of process to allow for a retrial. 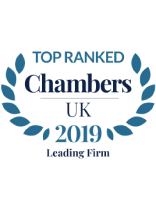 In most cases, the defence will not be able to properly resist the application, but we would always carefully consider all relevant factors and object if able to. 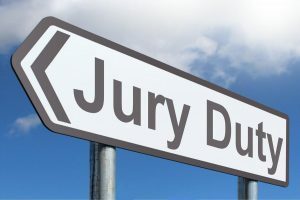 To discuss anything to do with offences concerning a hung jury please contact us on 020 7388 8333 or email info@tuckerssolicitors.com and we will gladly assist.